Quickly find the utility you need. 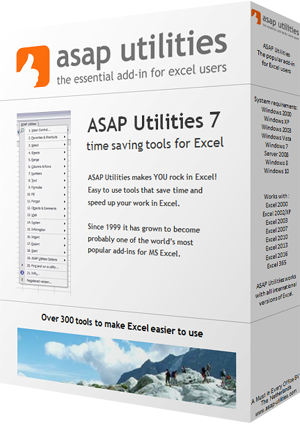 With this utility you can search in the names and descriptions of all available tools in ASAP Utilities. You can also immediately run the utility from the results box or click the ?-button to view the details and a screenshot (if available) on our website. « Return to the list of “Find and run a utility...” tools.